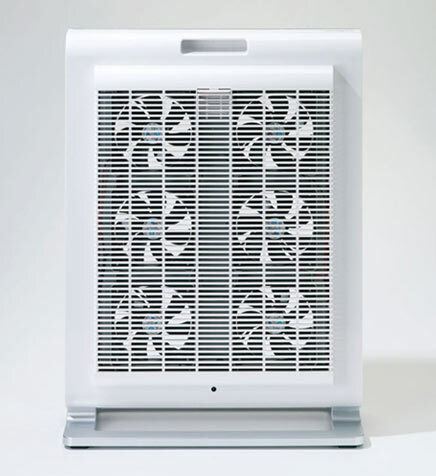 Record breaking performance cleans your air better while the world's lowest energy consumption and our flexible filter system saves you time, saves you money and is better for the environment. 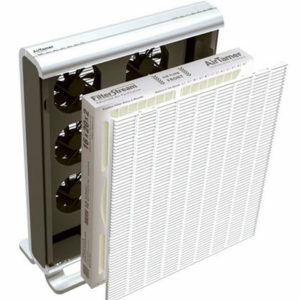 Includes 1 High Performance Electrostatic Pleated Filter. † CADR – Smoke: 182, Dust: 275, Pollen: 256. 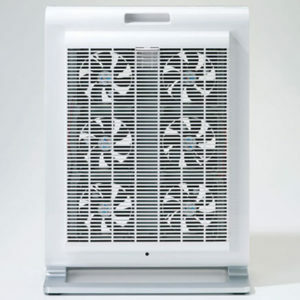 † Than a HEPA air purifier for a comparable room size & CADR. 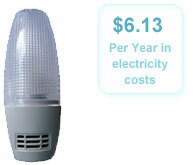 ordinary nightlights consume 7 watts of electricity. 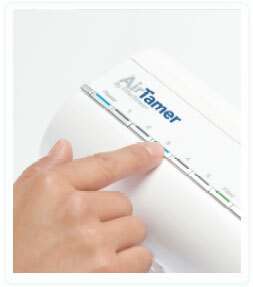 AirTamer powers 6 fans with only 5 watts on low speed! 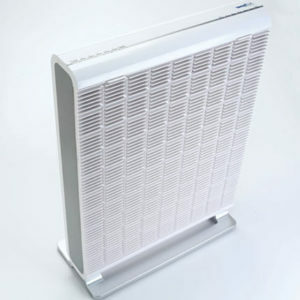 Filter replacement for air purifier owners has never been easy. 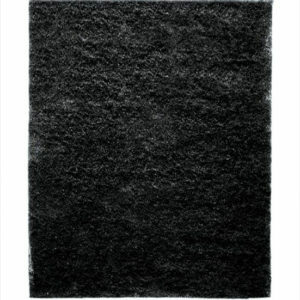 The right filter is usually too hard to find, and if you can find it, it is usually more expensive than it should be. 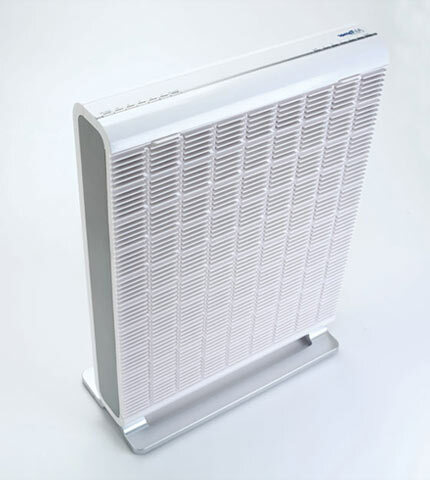 AirTamer® breaks the mold on this issue by including the world's first "flexible filter system" which allows you to use any brand of 16" x 20" filter (even furnace filters) for greater convenience and economy. 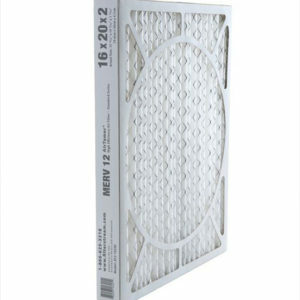 So now, replacing your filter is as easy as going to your corner store. 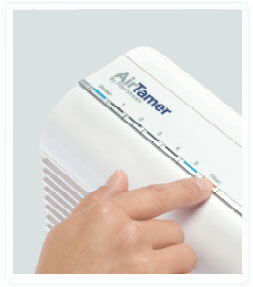 AirTamer® not only cleans the air, it also conditions the air with healthy scientifically proven aromas developed by world renowned aroma expert, Dr. Rachel Herz. 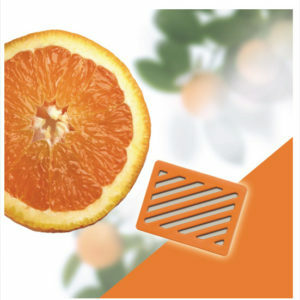 Three aroma cartridges are included with each AirTamer® Refreshing Orange – for uplifting daytime use Refreshing Orange – for uplifting daytime use Energizing Grapefruit – for invigorating daytime use Refreshing Orange – for uplifting daytime use Relaxing Lavender – for relaxing nighttime use. 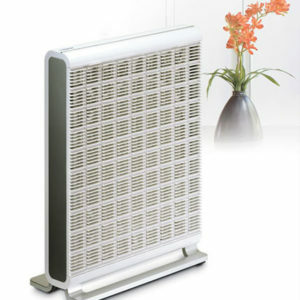 Pleasant & fresh for daytime use. 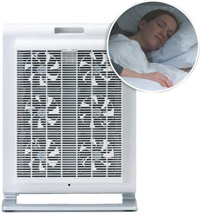 Sleep & relaxation - perfect for bedroom use. 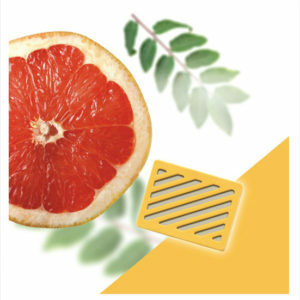 Energizing & fresh for daytime use. 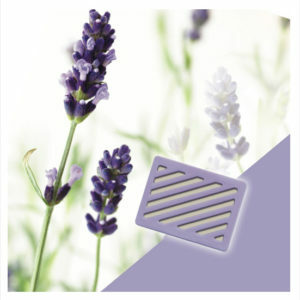 Creates therapeutic aroma environments. 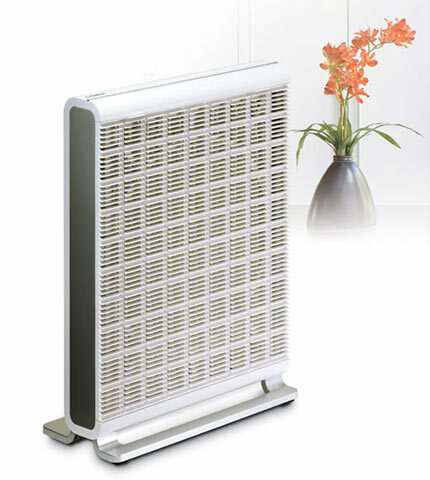 Perfect for bedrooms living rooms and other sound sensitive environments. 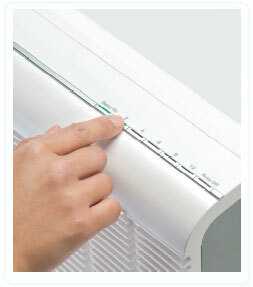 Unit can turn off automatically in 2, 4, 6, 8 or 12 hours; or turn on automatically in 2, 4, 6, 8 or 12 hours. Easy push-button 5 speed control. 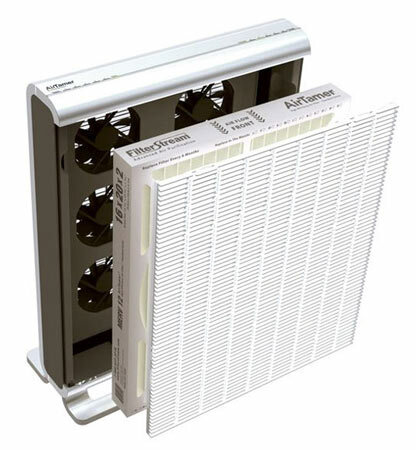 Signals when filter needs to be replaced.